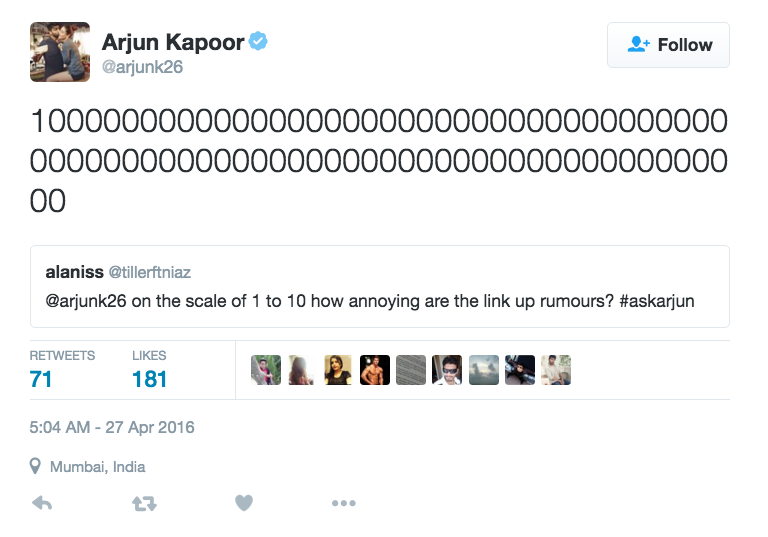 [tps_footer]Arjun Kapoor is one actor who is more in the news for his link ups than his films. The actor who gave a splendid performance in the film ‘Ki and Ka’ is yet again in the news for something similar. Arjun has always been mum on his personal life amidst the masses. The actor has always maintained that he will be interacting only regarding his professional life. 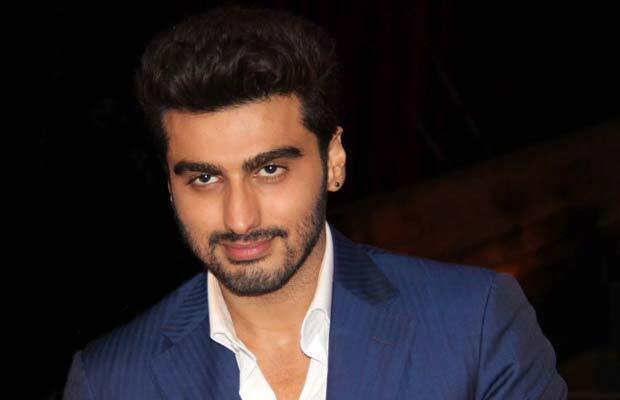 Lately, Arjun Kapoor’s name is being linked to many B-Town beauties. The actor was recently in the headlines for being close to Malaika Arora Khan. Malaika, as we all know, is living separately from husband Arbaaz Khan. Arjun was spotted at Malaika’s residence late at night. Moreover, reports claimed that the young actor left her place only in the wee hours of morning. Apart from Malaika Arora Khan, Arjun has also been linked to actress Athiya Shetty. The Hero actress who is too new in the tinsel town is already entangled in link ups. The speculations started to spread when Arjun and Athiya were caught engrossed in a deep conversation at Varun Dhawan’s birthday bash. The actor after being entangled in so many link ups has finally reacted. Next articleWatch: Joseph Gordon Levitt’s First Snowden Trailer Focuses On NSA Leaks!